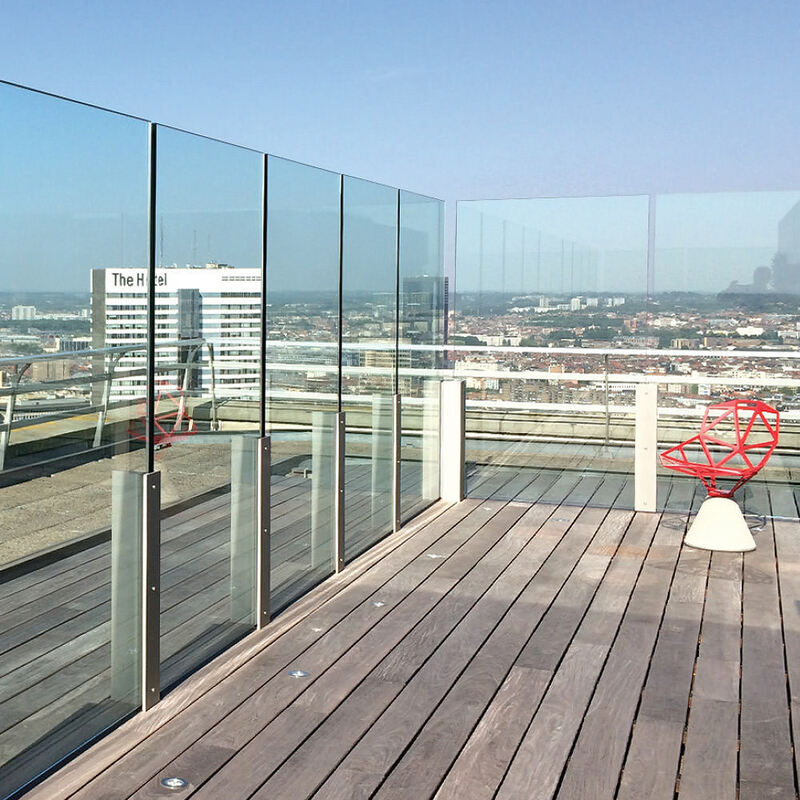 A glass balustrade on the (roof) terrace or glass windscreen as shelter against fierce winds is extremely minimalistic and stylish and goes with every residential style. Thanks to the lack of upright profiles, we moreover have an uninterrupted outside view. In this, Inpro invariably opts for safety glass, processed in the balustrade via profiles. After all, safety glass has the feature that, in case of breakage, it offers the necessary fall prevention.